INHALATION - smoking cannabis via either a pipe, joint, bong, or other apparatus is perhaps the most common method of ingestion, and involves combustion of the cannabis at high temperatures with resulting ash. Combustion products such as benzene, toluene, carcinogens, and others are ingested but their detrimental effects are mitigated somewhat by the protection offered by the cannabinoids. No such protection exists in cigarette smoke, as cigarettes pose a far greater health risk. The onset is almost immediate and it is easy to titrate the dose between inhalations to help achieve the desired effect. The effects from inhaled cannabis typically last about 4 hours depending upon the dosage, and strain. A bong or water pipe can be filled with ice water to help cool the smoke, but may remove some of the desired ingredients. Dabbing is also a relatively new techniques to inhale high temperature smoke from wax, butter, or shatter and comes with a potent punch not recommended for novice users. 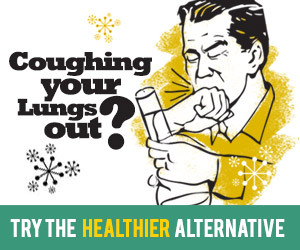 Smoking cannabis can lead to dry mouth, decreased saliva, inflammation of the bronchi, and coughing. These effects can be mitigated somewhat by proper smoking technique (ie. smaller hits, water pipes, inhalation of air simultaneously, or clean implements for smoking). VAPORIZATION - this technique involves heating up the cannabis but not enough to cause combustion or smoke. Instead, the cannabis is heated less harshly and it allows the ingredients to come out as vapors, similar to a nebulizer, and the temperature settings can be exactly controlled to allow for the exact type of cannabinoids and terpenes that are desired. The temperature setting determines which elements of the plant are vaporized so that you can inhale them similar to smoking, but combustion is not reached so you get vapor instead of smoke. Models include vape pens, hand held convection or conduction vaporizers (ie pax), or desktop models (ie volcano), etc... there are a multitude of models. Some vaporize oils or extracts, some vaporize the plant ground leaf material, and others can vaporize wax, butter, or shatter. Small and discrete, these offer ease and stealth of use, and easily concealed if needed with minimal odor. Most vaporizers allow the setting of the temperature, some to exact digital settings, others more general settings ( ie low, medium, high). They use lithium ion batteries and need to be charged occasionally. Since different cannabinoids and terpenes are released into the vapor at different temperatures, you can select to some degree the components you want to vaporize. 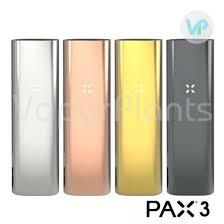 For example, you can vaporize at 315 degrees to vape the THC but not the CBD - as CBD vaporizes at 356 degrees. Likewise, you can vaporize at 390 degrees to release the linalool, but you also get all of the lower vaporizing elements as well. SUBLINGUAL Absorption - this involves placing the medicament under the tongue for absorption by the vast network of blood vessels located there. These tinctures are absorbed rapidly and a fast onset of action with limited duration. Usually prepared in a base of alcohol, oil, glycerin, or hemp oil. Administered by measured dropper under the tongue. Patients are advised not to swallow for 2 minutes, and let it remain in place as long as possible. Some tinctures can be sprayed into the mouth for oral mucosal absorption and work in a similar manner. ORAL INGESTION - edibles, pills, tablets, liquids, infused products (brownies, chocolate, gummies, cookies, etc... etc...) are often used by those who do not want to smoke or vape. Taking cannabis by mouth has both advantages and drawbacks. Since cannabinoids are fat soluble, they are absorbed in the gut which is slow and often unpredictable based on metabolism and stomach contents. The onset is slow usually between 30 and 60 minutes or more... when taken orally the THC is metabolized in the liver and converted to 11- hydroxy -thc which is more psychoactive than inhaled THC. For this reason the effect is different and perhaps stronger. Importantly the effect lasts quite a bit longer, up to 12 hours or more, so sometimes a hangover is possible the next morning if ingested late in the day. Edibles also can have a propensity to cause quite a bit of sedation and sleepiness for some individuals, and in larger doses somewhat debilitating. The main issue, however, is to get the proper dose - very often either the user has nothing happen, or he gets an overdose causing discomfort and anxiety. Rule here is to go slow, wait between doses, and keep doses low until you see how things work out... be patient!!! Overdosing on edibles is quite common, and an uncomfortable long lasting negative experience can result. GO LOW, AND SLOW! 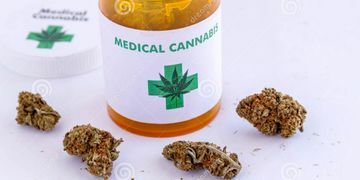 TOPICAL APPLICATION - cannabis can be applied as a lotion, poultice, cream, or ointment directly on the skin for absorption. Thus it can be used for skin conditions, arthritis, or muscle pain. Often it is combined with other ingredients as well, such as menthol, eucalyptol, etc... The goal is for the medication to be absorbed exactly where it is needed. The terpenes and flavinoids also play a role in therapies using dermal absorption, and patches are also available usually with labeled THC or CBD content. SUPPOSITORY - when all else fails, this method of absorption via the colon is available via a cannabis suppository. Similar to a belladonna and opioid supprette, the colon offers another route of intake. INJECTION - these techniques are used only in research, where studies are being performed on the actions of various cannabinoids via blood stream injection, or directly into the tissue being studied. For example, the use of IV THC or CBD directly injected into glioblastoma brain tumors. Also, this technique is used in research in rats and mice where indicated, as opposed to oral ingestion. Perhaps with no other drug is the ingestion technique so variable and diverse as cannabis. The method of ingestion greatly determines the effect, the onset time, and the duration of action. Commonly used techniques currently include smoking, vaporizing, creams and lotions, edibles, infused foods and beverages, dermal patches, pills, lozenges, tinctures, and capsules.